Over the last few years, Chicago avant-jazz explorer Rob Mazurek has established himself as one of the most reliable and prolific leaders on the creative music scene. His group efforts include The Chicago Underground Duo / Trio / Quartet, Sound Is, Pulsar Quartet, Exploding Star Orchestra, the Rob Mazurek Octet, and (of course) São Paulo Underground. The latter, consisting of Mazurek on cornet, harmonium and effects, Guilherme Granado on keyboards, synths, sampler and vocals, and Mauricio Takara on percussion, cavaquinho and electronics, released Beija Flors Velho E Sujo this summer. This is the group’s fourth album overall, and second with the current lineup. Although a trio, São Paulo Underground provides a rich feel that could easily be attributed to a six or seven piece group. Mazurek leads most tracks on cornet, with thick keyboards from Granado and busy drumming from Takara backing him up. Other voices wend their way through the recording, including multitracked horns and effects that resemble an electric guitar. 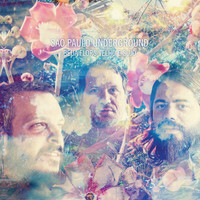 Despite the group’s use of modern technology in the form of samplers and electronics, there is a distinct analog resonance to Beija Flors Velho E Sujo. As a result, the group comes across as having an earthy electric-Miles / Sun Ra retro thing going on. What makes São Paulo Underground stand out in Mazurek’s discography, and in avant-jazz as well, is the playful Latin vibe throughout. Some tracks, such as “The Love I Feel For You Is More Real Than Ever,” are downright tuneful and fun. But make no mistake – this is not a mainstream album. It is delightfully creative, noisy, and progressive. Beija Flors Velho E Sujo is a great step forward for this already-accomplished trio, and easily makes my shortlist for album of the year.